To say the Corvette is a legend in the performance car market would be an understatement. Sure, faster American cars have come and gone over the years, but the Corvette remains the choice for many people looking for a high-performance American car that’s a little more grown-up than a Camaro or Mustang. Naturally, with the Corvette being such a popular choice, the aftermarket support is excellent. One of the first things many C7 owners do is get rid of the stock wheels. Obviously, with such a grippy and powerful car, you don’t want to be running some cheap cast wheels. Flow forged wheels are always a decent choice, but if you want the best-of-the-best, forged wheels are the only option. 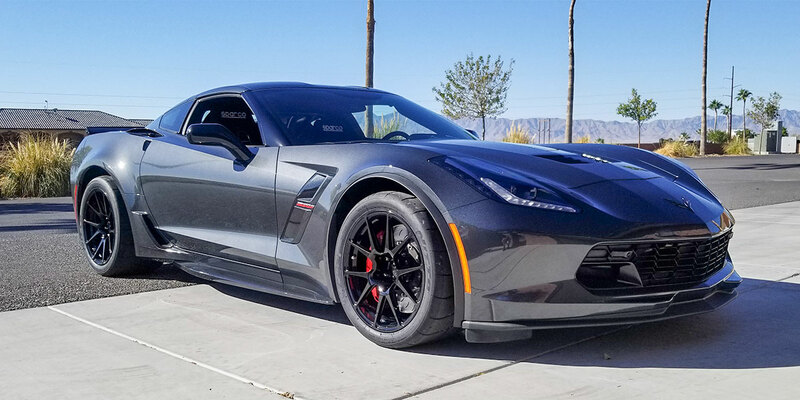 Forgeline has long been a very popular option for forged wheels in the American car market, so it makes sense that this particular customer chose to purchase Forgeline GA1R wheels on their Corvette C7 Grand Sport. This particular Corvette is running 18x11s up front and 18×12.5s in the back with some super sticky tires. Check out the photos our customer sent to us below! If you have any questions about Forgeline wheels or would like to purchase parts for your car, please do not hesitate to contact us. We can be reached by phone at 1.480.966.3040 or via email at sales@vividracing.com. Steel vs Synthetic Winch Lines: Which One is Right for You?